As a founding and managing partner of Tide Creek Financial group, Chris (along with co-founder Michael Havlik) is responsible for leading the firm’s financial planning operations and strategic vision. 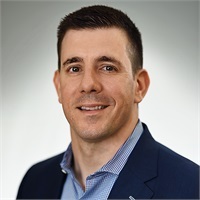 Chris joined MetLife in 2002 after graduating from Salisbury University, where he studied finance and marketing, and was also a member of the university’s football team. Early on, Chris developed the simple, yet powerful belief that the best way to achieve something is to first plan for it. Today, this is ingrained in the culture of Tide Creek, where comprehensive financial planning serves as the firm’s foundation. Over his 15+ year career, Chris has earned various industry designations, including becoming a CERTIFIED FINANCIAL PLANNER™ professional in 2012. He has also earned the CLU®, ChFC®, CASL® and RICP® designations from the American College of Financial Services and is a qualifying and life member of the Million Dollar Round Table. Chris has a diverse client base that ranges from small business owners and professionals to individuals and families. While his clients are diverse in background, they are united by the shared belief that financial guidance should be about more than just your balance sheet and want the assurance that comes from having a financial professional who knows them on a personal level and is as committed to their financial success as they are. When not helping clients with financial matters, Chris enjoys giving back to his community as a volunteer high school football coach as well as spending time with his wife, son and daughter. Chris is a resident of Howard County, MD.